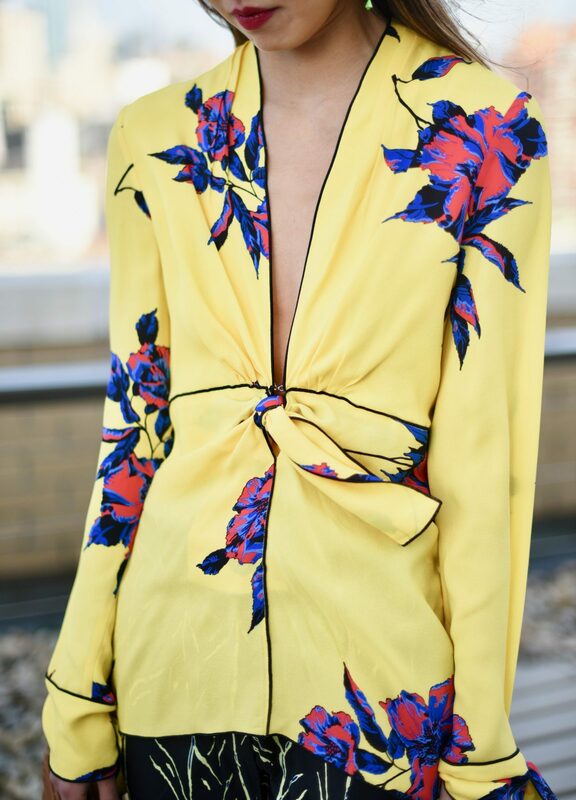 Proenza Schouler, Knot Silk Blouse, buy here and here. Proenza Schouler, Print Silk Twill Crop Pants, buy here. BaubleBar, Merengue Drops, buy here. Sydney Evan, 14k Rainbow Bar Single Stud Bar Earring, buy here. Fendi, Cat Eye Sunglasses, similar here and here. 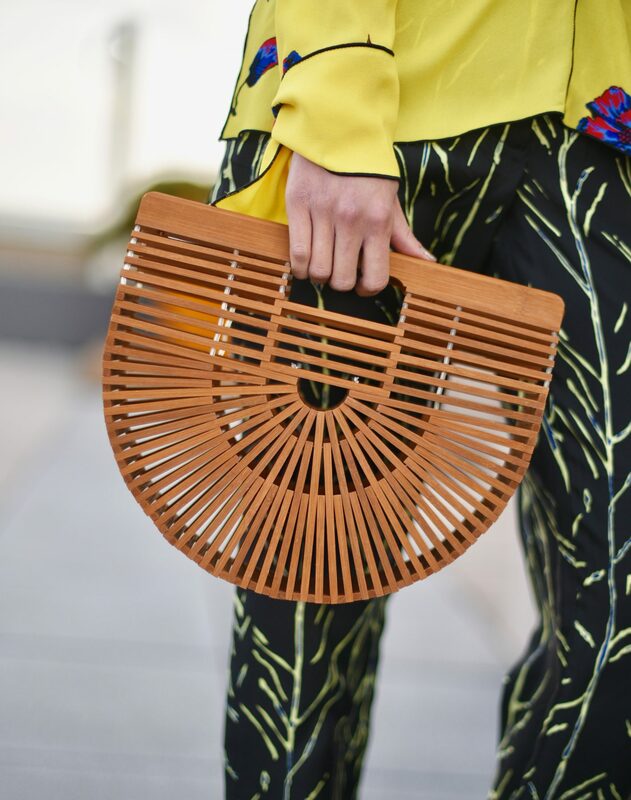 Cult Gaia, Large Bamboo Ark Bag, buy here. Gucci, Blue Suede Pumps, similar here.